Just to clear things up, the actual release date wasn’t teased, but just when they’ll announce the official release date. So a release date of the release date. Or perhaps a release date within a release date. Release date inception? They really are playing on this theme of time. But Quantum Break should be should making quite the appearance at Gamescom, and with that we should see a much more firm release date. Quantum Break should finally be able to break away from the perpetual delayed status. We’ll get more info on Tuesday. An excited, yet likely perturbed as well, fan took to Twitter to ask Phil Spencer whether or not we’ll hear anything more definite and precise as to a release date. They were promptly told that Tuesday is the day that we’ll see more information. Spencer says “I think you’ll be happy,” which hopefully means actual firm information. Or more delays. The only problem is that we ourselves can’t currently manipulate time to see in the future. 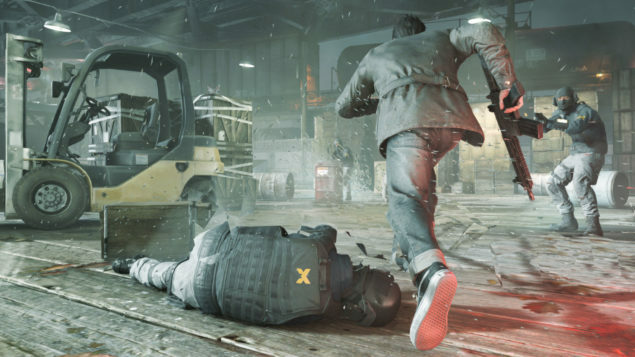 Quantum Break has been in development since before 2013 by Remedy Entertainment. It was supposed to be released at the end of 2014 but missed that target by a wide margin. Now it’s been further delayed to an indeterminate date in 2016. Remedy wanted to take time to further polish the game and so it doesn’t conflict with the release dates of other Xbox exclusive titles. Quantum Break posits that time travel could be possible by putting in the place of a character whose experiment has gone terrible wrong. Now time is breaking apart, and you must us your wit and skill to discover what went wrong and how to fix it. Each character also has a way in which to interact with and manipulate time. Each segment of the game will be followed by an episode of the show that’s being created, where you can interact with that episode based on your choices in the previous segment of the game. Remedy Entertainment consulted wit ha physicist from CERN to ensure that their model of time travel adheres to current theoretical physics concerning time. Time, as they say, is of the essence.